Victoria Olivier joined Planning as the regional planner for Central Maryland in late January 2019. She provides local planning assistance and education coordination to Carroll, Harford, Howard, and Baltimore counties as well as Baltimore City and all incorporated municipalities. Prior to moving to Baltimore, Victoria lived in Detroit where she was a 2013-2015 Detroit Revitalization Fellow at Detroit Future City (DFC). 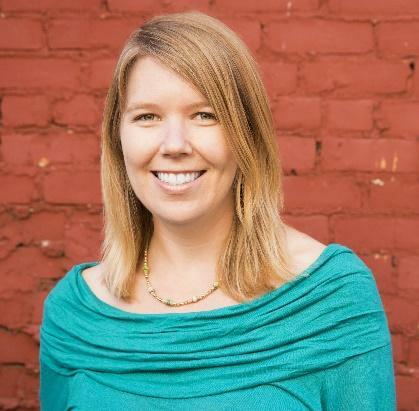 She remained at DFC for more than six years, ultimately serving as their Director of Land Use and Sustainability focusing on community-driven planning, and vacant land/vacant building transformation. Her other passion was co-founding Brick+Beam Detroit, an initiative that supports the efforts of building “rehabbers” as a crucial tool for neighborhood stabilization. Victoria began her career in New Orleans after Hurricane Katrina, first with the Preservation Resource Center and later with FEMA’s Louisiana Recovery Office as an historic preservation specialist and project manager implementing FEMA’s $1.8 billion school master plan. She received a master’s degree in urban and regional planning from the University of New Orleans and a bachelor’s degree in both urban and environmental planning and American studies from the University of Virginia. Victoria loves to travel internationally, exploring new places – large and small – especially with her husband and two-year-old daughter. Welcome to Maryland, Victoria! Look forward to working with you Victoria. Central Maryland, and in particular Baltimore City, can utilize your expertise and experience. Welcome, Victoria! It’s great to have you on board.